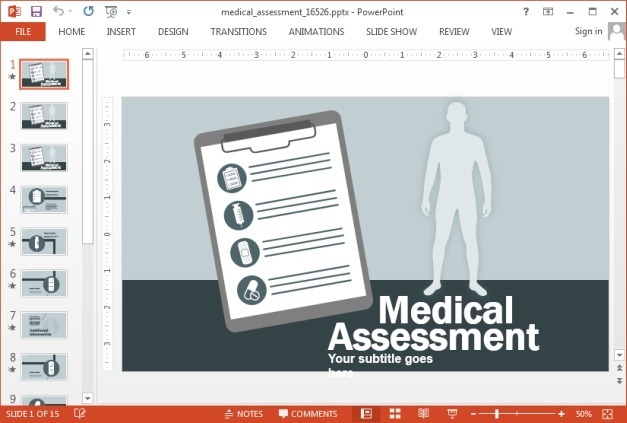 The Medical Assessment Template for PowerPoint has been designed for making professional presentations with the help of animated slides. 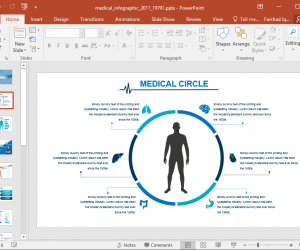 You can use this medical presentation template for making medical themed presentations, complete medical assessments for informing your patients about their current medical status, for seminars, webinars, academic presentations, etc. 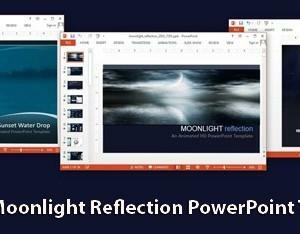 The sample slides contain clipart, diagrams and generic layouts which you can easily manipulate for making slides that best match your presentation topic. 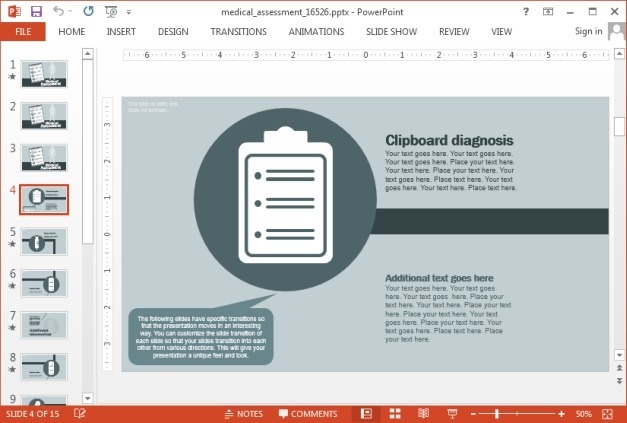 You can also rearrange slide objects using drag and drop to further customize the existing layouts. 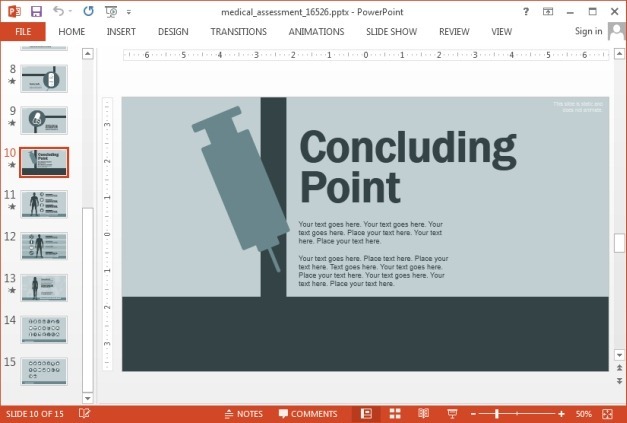 If you choose to use the slides in animated format, make sure you preview your slides as a Slide Show to see how your added content merges with the animations. 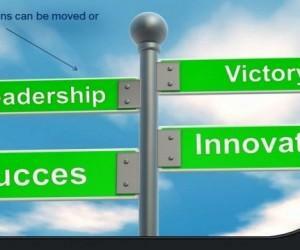 This will also help you make any necessary adjustments to ensure that nothing seems out of place. 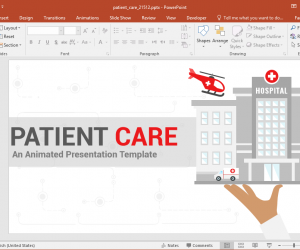 The entire presentation template is laden with various medical icons and clipart images which you can copy across your presentation slides. 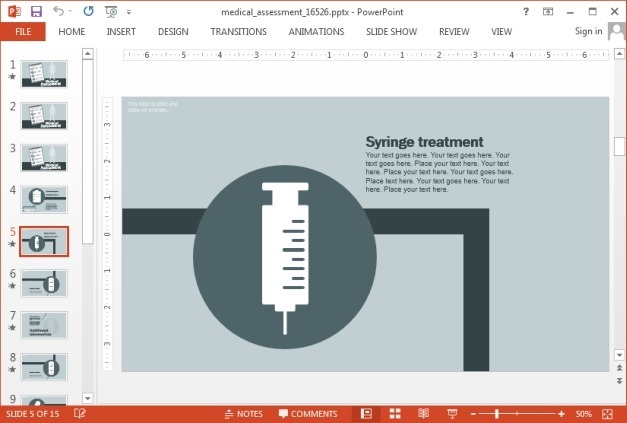 There are also dedicated clipart slides, which have been included in the template to ensure adequate provision of medical icons. 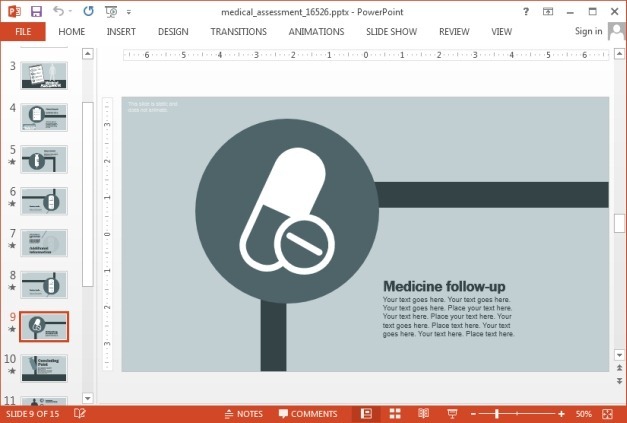 You can resize and recolor these icons using customization options from within PowerPoint. 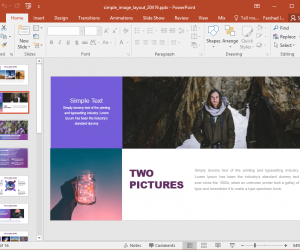 While you can also make your own slide or repurpose an existing one for your conclusion, the template also provides a concluding slide. 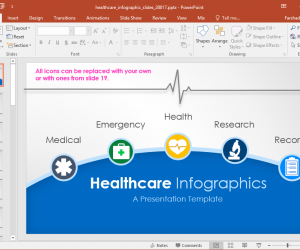 This animated medical PowerPoint template can be downloaded for PowerPoint versions of Windows and Mac, as well as for Apple’s Keynote apps for iPad and Mac.